We pride ourselves on our ability to tailor our expertise to suit each individual client whatever the issue may be. With many years of experience in legal practice, we have helped many individuals and businesses on a wide range of legal issues. Our Family Law department provides specialist legal advice to clients faced with problems associated with relationship breakdown and disputes regarding children. We understand the inevitable distress and sensitive nature of family related legal issues. We adapt our approach to suit the individual circumstances of your case to ensure your case is dealt with sensitively. 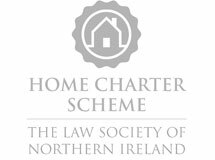 Patrick Gillen is a member of the Law Society of Northern Ireland Children Order Panel and is a certified Family Mediator. Gillen and Co have developed an expertise is the area of Extradition Law. Recent changes to this area of law have led to a substantial increase in the number of arrests by Police of persons wanted on European Arrest Warrants.